I recently purchased some Polyair Air Suspension from 4WD World. The response to my original request for pricing was handled efficiently and promptly. When I finally decided to purchase, my order was processed promptly and the items were delivered very quickly. I am very happy with the parts supplied and would recommend 4WD World to anyone considering purchasing 4WD products. 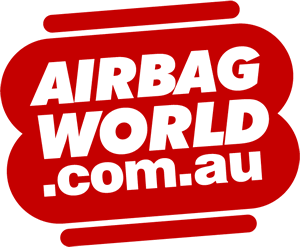 Thank you for the fantastic service and fast delivery of the Air Bags I ordered last week, four days delivery,great product,the lady who took my order was right up with product knowledge,very helpfull. I just wish to say your service is great and your gentleman (Ed) who filled my order worked well into the evening (after normal dinner hour) and airbag arrived 2 or 3 days before I had expected it. As I was anxious to get underway having several medical appointments in Cairns this service was most appreciated. Received the items (Thor air bellows) and all arrived intact. Fitted them last night and early this morning. I'm not a mechanic or tradie. I'd like to thank you and the staff at 4WD World for assisting me with purchasing this product. It was easy to install and I must say I amazed myself with it fitting perfectly. Thank you all again. A great product and great, helpful staff.